A tranquil hideaway overlooking Lake Atitalan and set in lush surrounds. Classically styled rooms feature white washed walls, beamed ceilings and simple wooden furniture. An indulgent spa and stunning infinity pool bring complete relaxation. The perfect base to explore the region from. 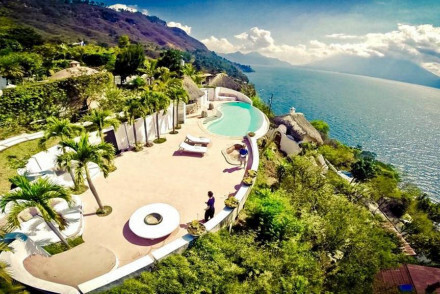 Back to Nature - Boasting spectacular views of Lake Atitalan and the surrounding volcanoes. Local markets - Scour the market for local artefacts in Antigua. Sights nearby - Climb a Mayan pyramid in Tikal. A small boutique property boasting epic lake views and some serious style. Traditionally dressed rooms feature lively colours set against wooden furniture, parquet floors and beamed ceilings. An oblong infinity pool is utterly stunning and a fine dining restaurant is extremely romantic. Rural bliss. 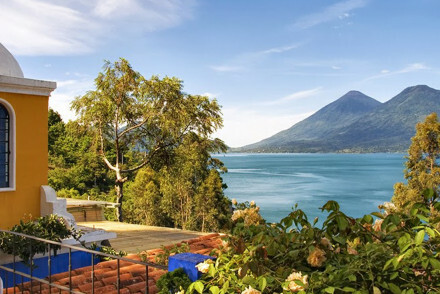 Back to Nature - Boasting an epic location overlooking the stunning Lake Atitilan and surrounded by volcanoes. Kayaking - Take a kayak out onto the lake and explore the beautiful landscape. Restrictions on children - Children over 12 are welcomed.